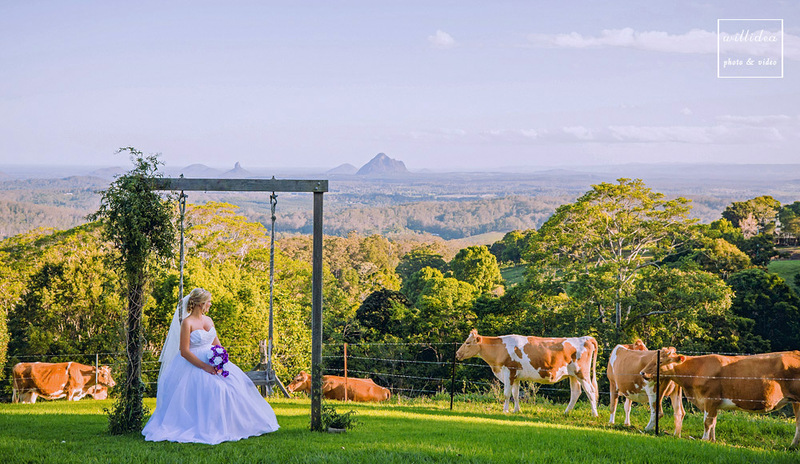 Panoramic views of the Glasshouse Mountains and Moreton Bay, lush gardens, and a recently-opened chapel await you at Weddings at Tiffany’s, a stunning wedding venue in the Sunshine Coast Hinterlands. 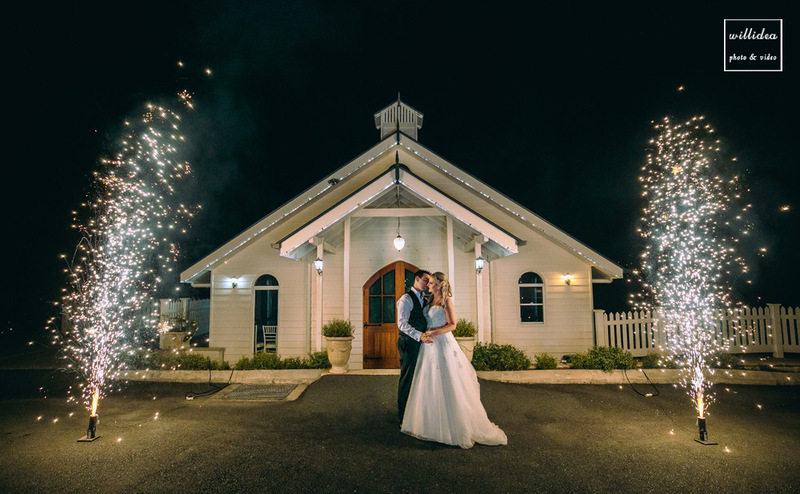 This wedding venue caters for all tastes, with the option of either a chapel ceremony or a garden ceremony, as well as a stunning, purpose-built Queenslander venue. All three are exceedingly charming, yet also entirely unique. 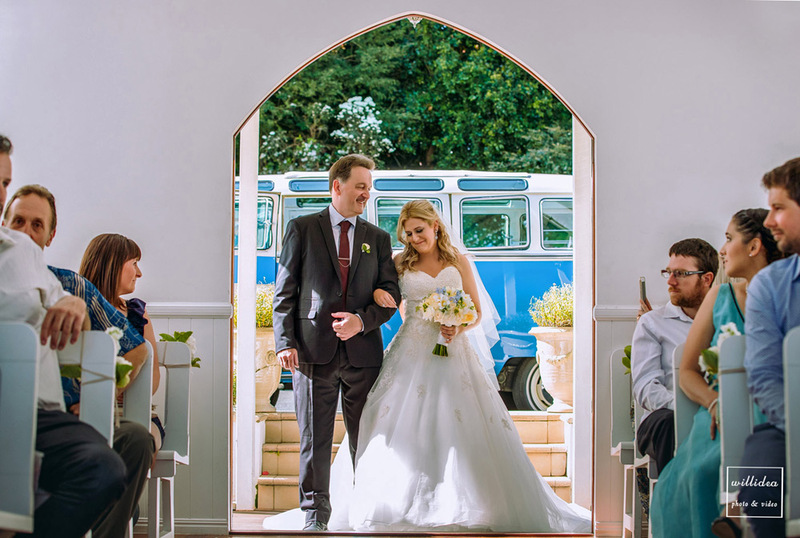 The chapel ceremony is held in Tiffany’s chapel, a gorgeous white building with blue accents. 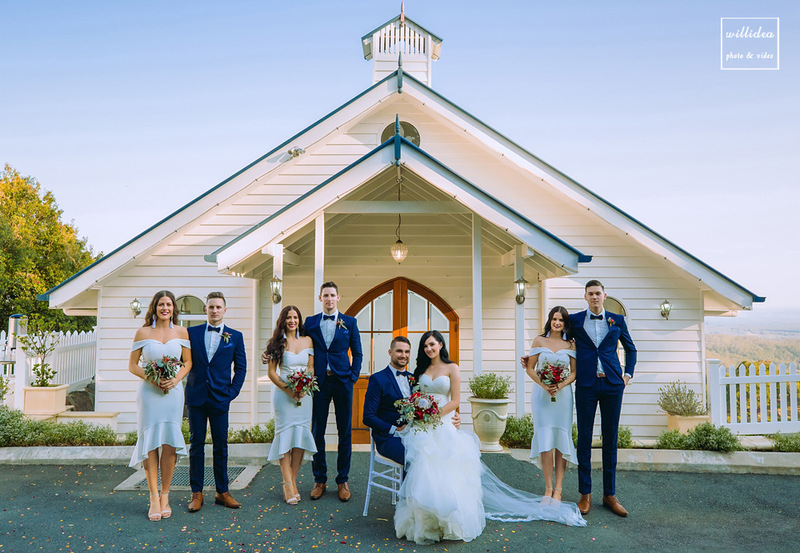 The bright and airy chapel creates a relaxed atmosphere, while still incorporating the traditional wedding ceremony set up. 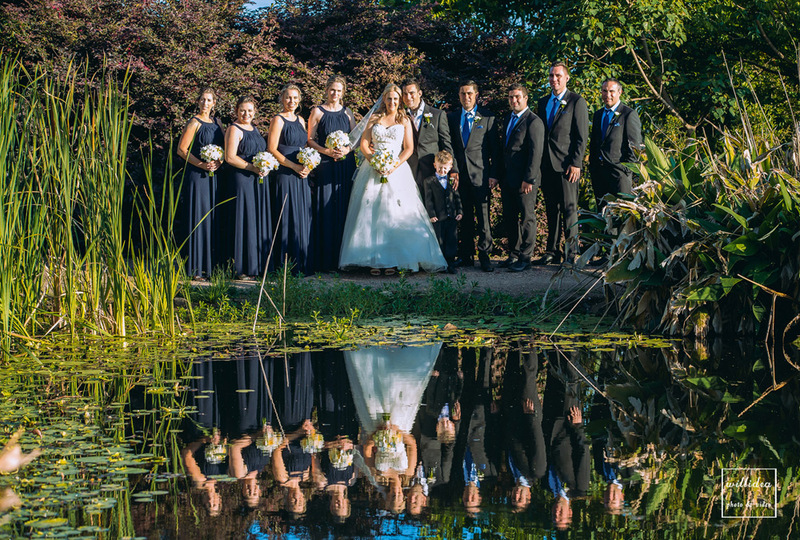 As the bride and groom stand by the podium, their family and friends will see the newlyweds with a backdrop of blue sky and vast greenery. 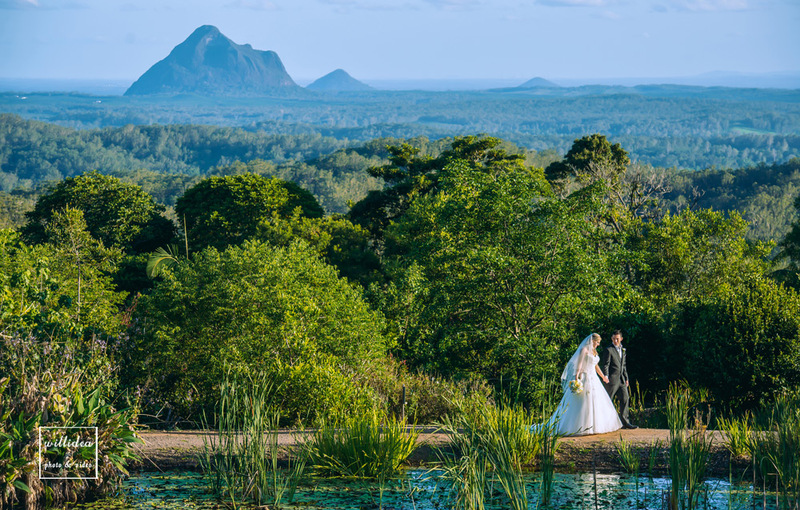 Behind the podium is a large arch window that opens out to the incredible view of the Glasshouse Mountains, and all the way out to Moreton Bay. 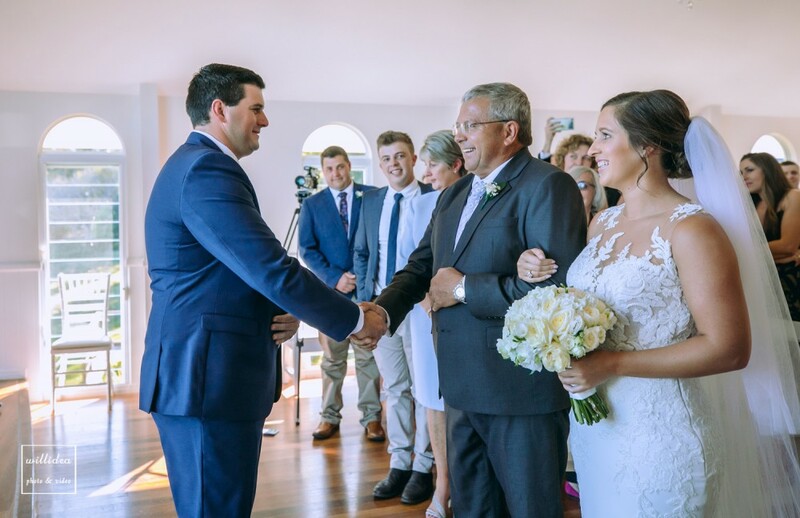 The garden ceremony is for those who prefer to be outside in the nature, walking down an aisle of rose petals, and surrounded by nothing but fresh air, loved ones, and nature. 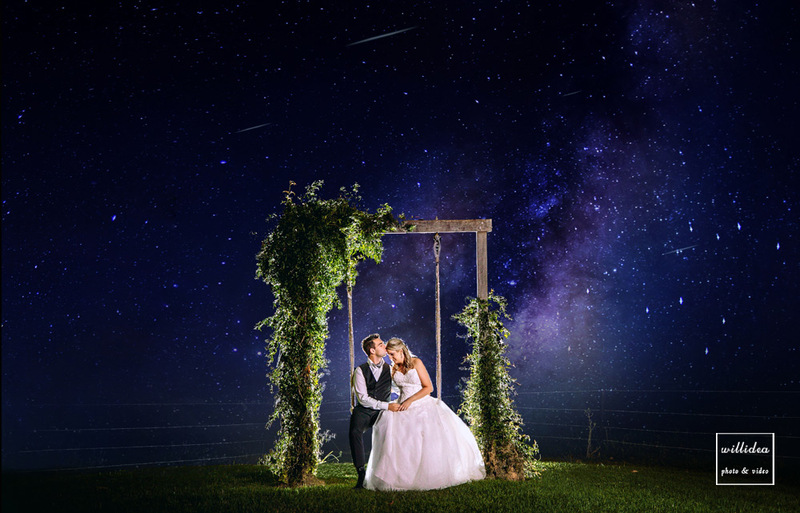 The quaint Tiffany’s Gazebo lies right on the edge of the escarpment, providing breathtaking panoramic views, and spectacular photo opportunities. 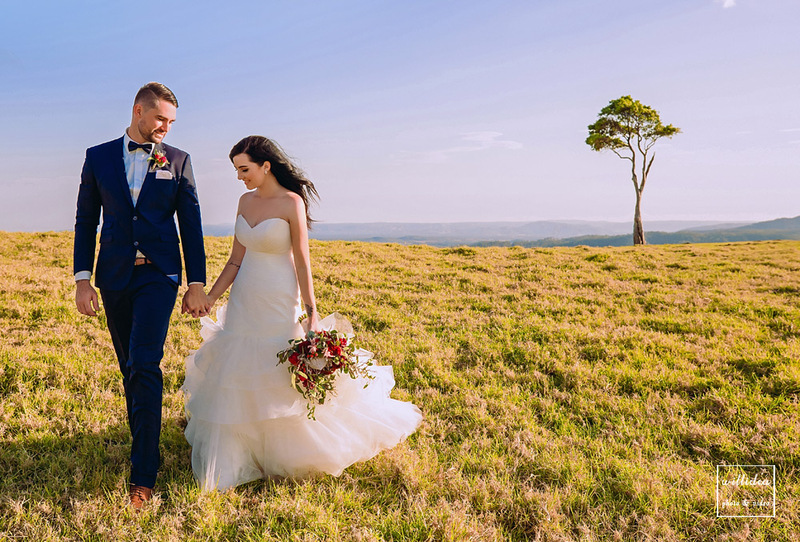 Camellias and Gardenias fragrance the air, while the soft breeze brings a sense of ease and calm to the ceremony. 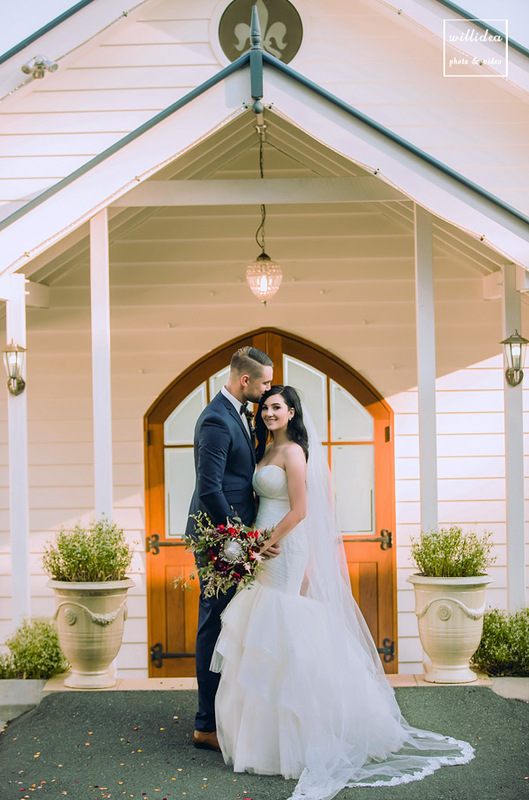 The gazebo has an old world charm unlike any other wedding venue, while its position on the cliff adds a touch of excitement. 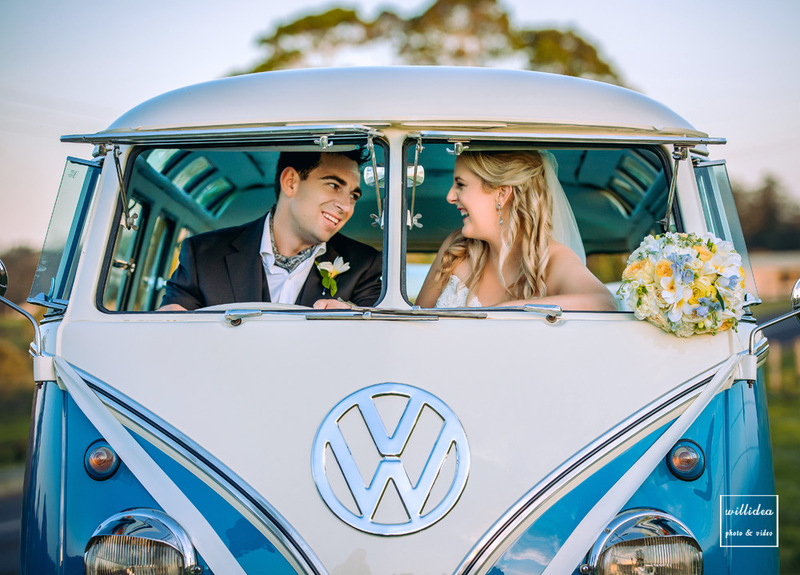 Should the weather become a problem, the chapel is available as a backup plan. 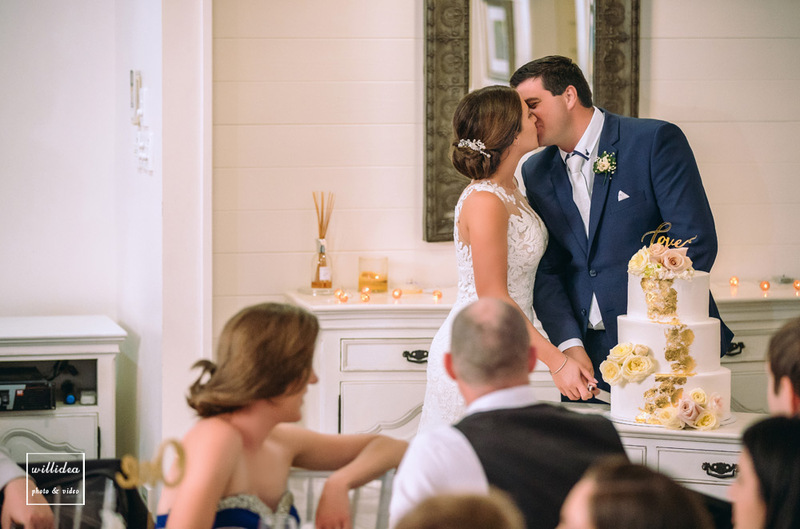 Tiffany’s is all yours on your special day. 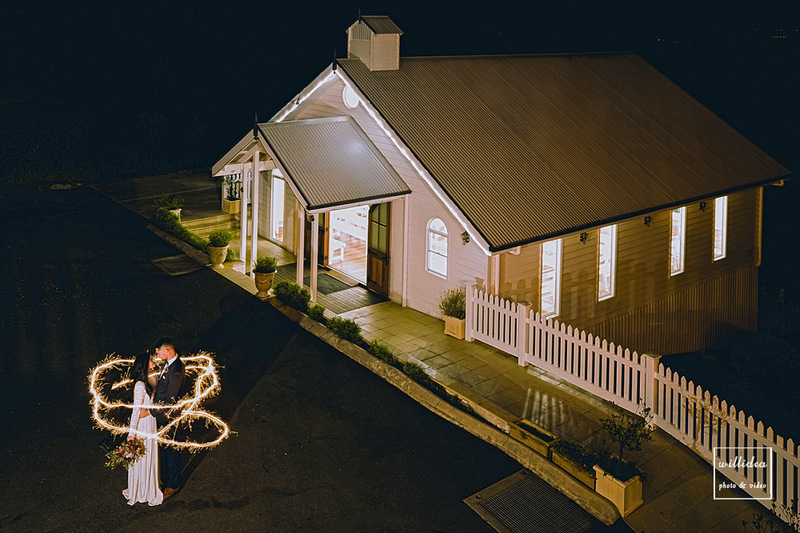 The iconic 1980s Queenslander house is another of Tiffany’s venues, once again with views that demand attention and spark conversation. 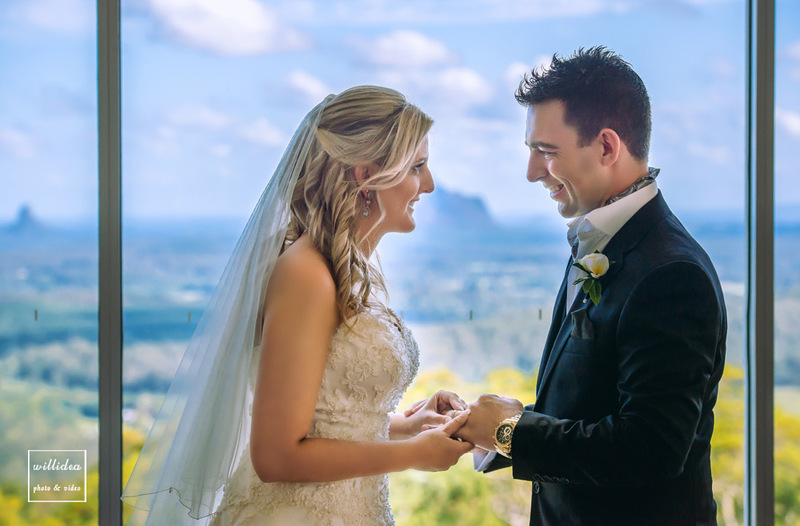 The building itself defines the Queensland spirit, with its open design which emanates warmth. 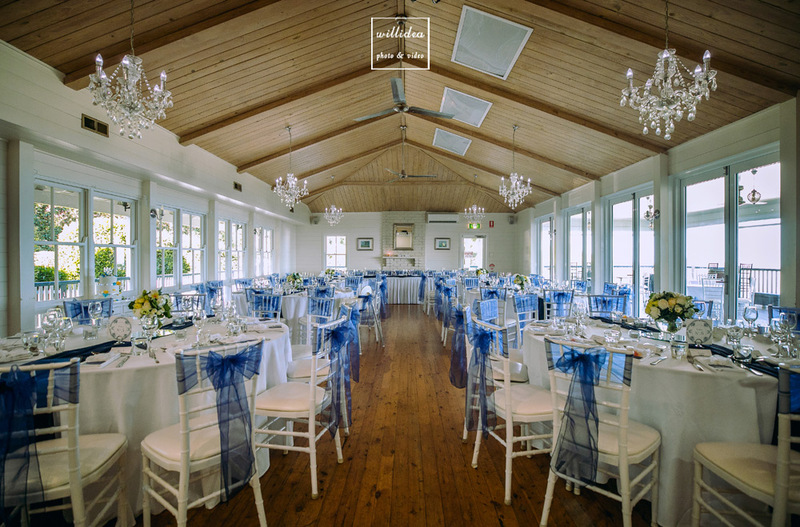 With homey wooden floors, paired with pure white chairs and tablecloths, the interior of the building mirrors the open-plan style. 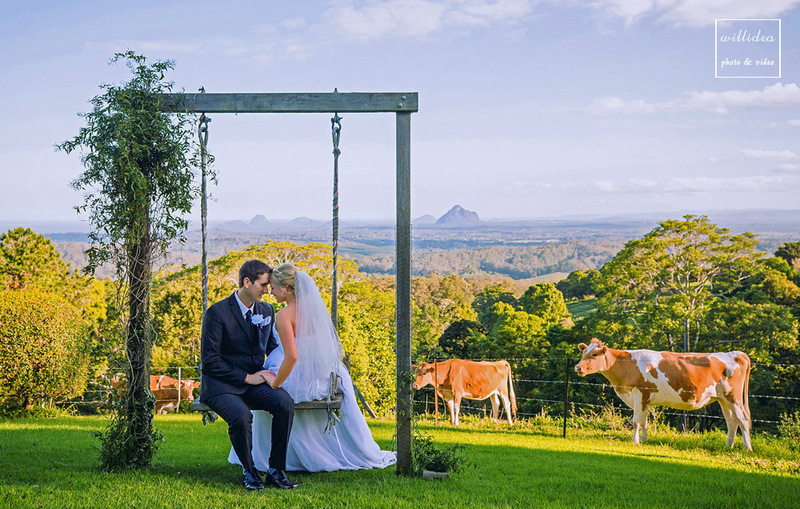 As with the chapel ceremony and the garden ceremony, the view from the Queenslander is an attraction in its own right. 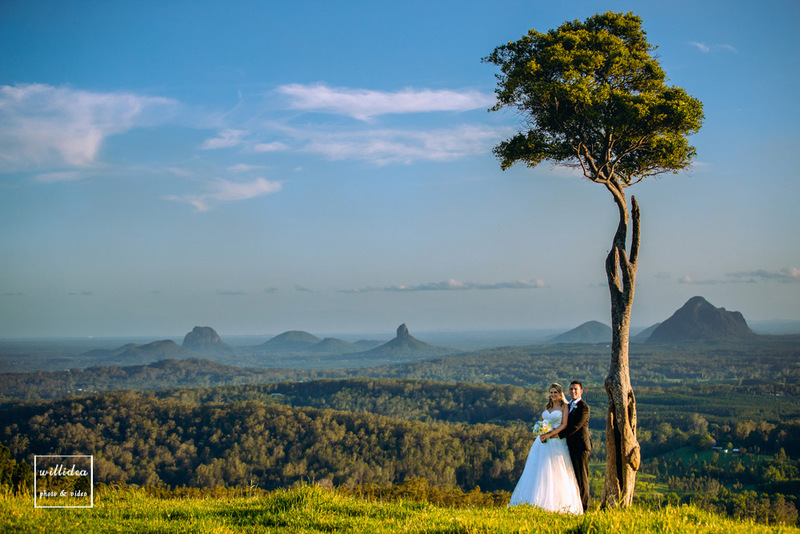 With views of the Glasshouse Mountains, Moreton Bay, and all the way to Brisbane City, Tiffany’s captures all of the beauty of the Sunshine State within this one venue. 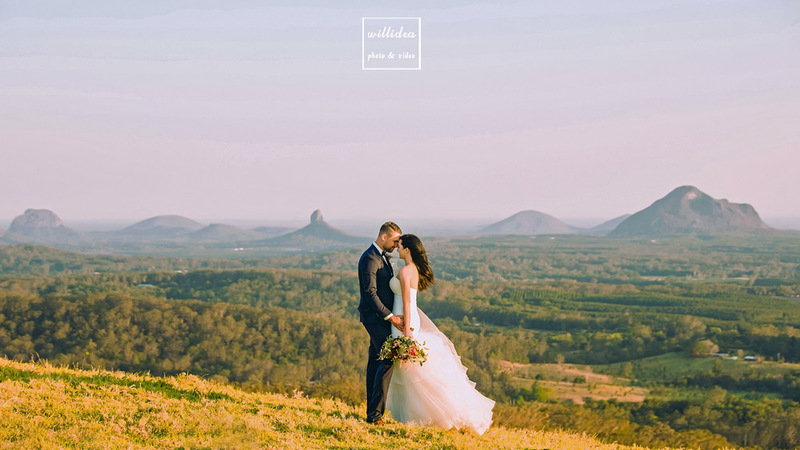 The beauty of the venue intensifies as the sun begins to set, and the sky turns into a mixture of cotton-candy pink and salmon orange, while the mountains take on a lilac hue. 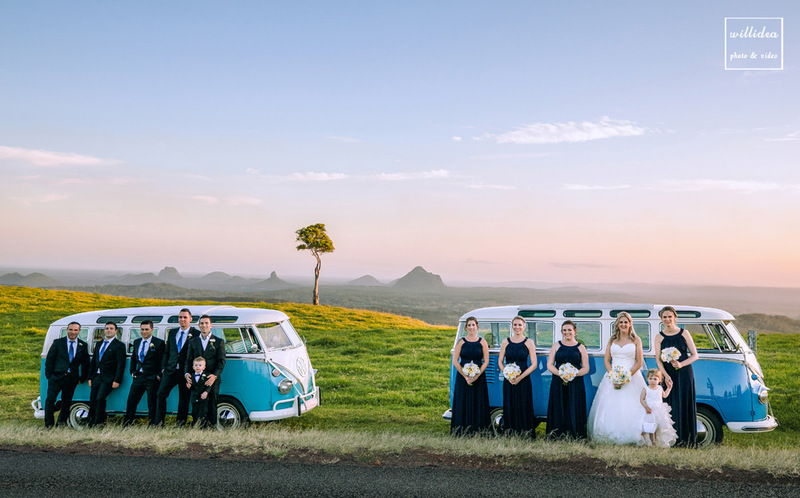 See it for yourself at Weddings at Tiffany’s.